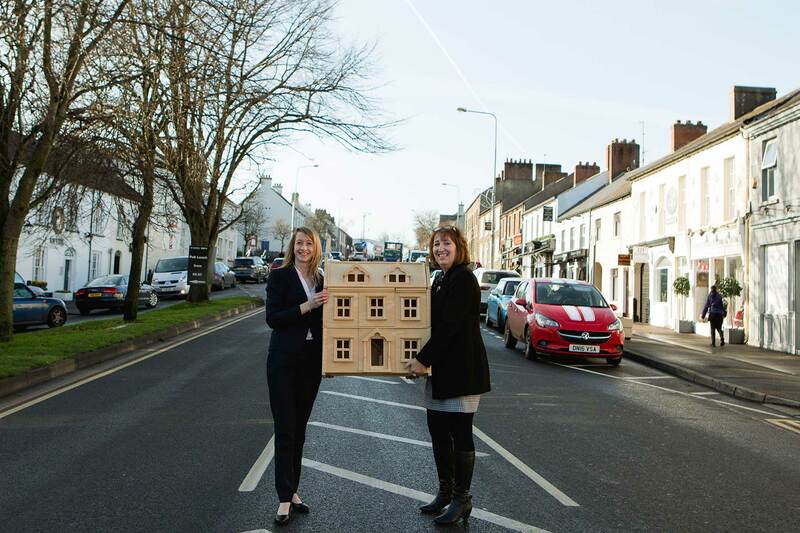 Welcome to Locale, Home Sales and Lettings, a brand new Estate Agents located on Main Street, Moira and run by two very familiar local Estate Agents, Barbara Wyatt and Julie Greer. We have named our new Estate Agency, Locale, because what is more special or significant in a person’s life than moving home? Locale is also a play on the word local, which is what we are in the greater Moira area, Barbara Wyatt lives in Moira and has worked here since 1994 and Julie Greer is born and bred in Magheralin and has worked in local estate agency since leaving school. As the local Estate Agents, our passion is selling the greater Moira area and the Moira lifestyle to the uninitiated and this combined with being in the privileged position of facilitating the home moving process, in our opinion, makes us Dream-makers! We first met Barbara and Julie when selling a home. We were guided through the sales process from valuation to completion. Both Barbara and Julie worked professionally with us to market the property, secure viewings and ultimately negotiate the best price available for our house. As working customers, we can't always answer the telephone and so it was very helpful to be able to correspond by email whenever suited. We would like to thank both Barbara and Julie for their time spent in securing the sale of the house, and ensuring the completion went smoothly. We would have no hesitation in using the service again if ever needed. I have great confidence in the work carried out by Julie & Barbara. Having purchased my first home through Barbara 13 years ago I went on to use their services in 2017 when selling that same home. I really appreciated their professionalism, honesty, knowledge, punctuality, reliability and that they always kept me informed. Superb service and I highly recommend the team. It’s great working with a team that has such a fantastic local knowledge with a personal touch, can’t recommend Julie & Barbara enough.